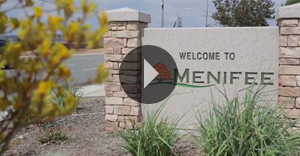 Showcasing the continued development of Menifee, the city’s most recent “State of the City” video offers residents an inside look at its investment in creating a better tomorrow. With 13 special events hosted throughout the year and 85 development projects citywide, the city’s employees continue to work to build a strong sense of community every day. Watch the video here! 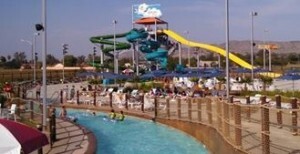 Escape the heat this summer at Drop Zone Waterpark! Perfect for the whole family to enjoy, ride the waves on the wave simulator, float around the continuous river, slide down the slides, play in the activity pool and much more. In addition to the array of attractions, the park also offers party packages for your child’s next birthday and swim lessons for kids. Located just a short drive from Audie Murphy Ranch, gather your friends and family and spend a day at the waterpark this summer. Learn more at Drop Zone Waterpark. 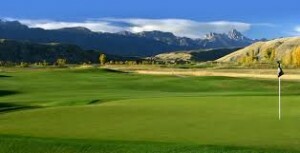 Set your tee-time at Menifee Lakes Country Club and enjoy a spectacular round of golf in a peaceful, beautiful setting. Home to two championship courses, each one features challenging, rolling greens ideal for players of all levels. Lessons are also available to help beginners and golf enthusiasts alike to perfect their swing. Situated near the new homes at Audie Murphy Ranch, get together with your neighbors and spend the day on the lush greens that await at the country club. Check rates and book a tee-time online!